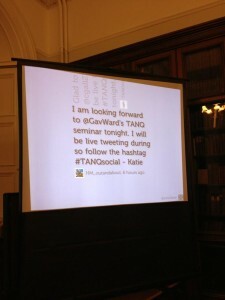 With a great turnout (although not quite the 60 who signed up), we had a live tweeting display of the Twitter hashtag #TANQsocial – see the picture above. 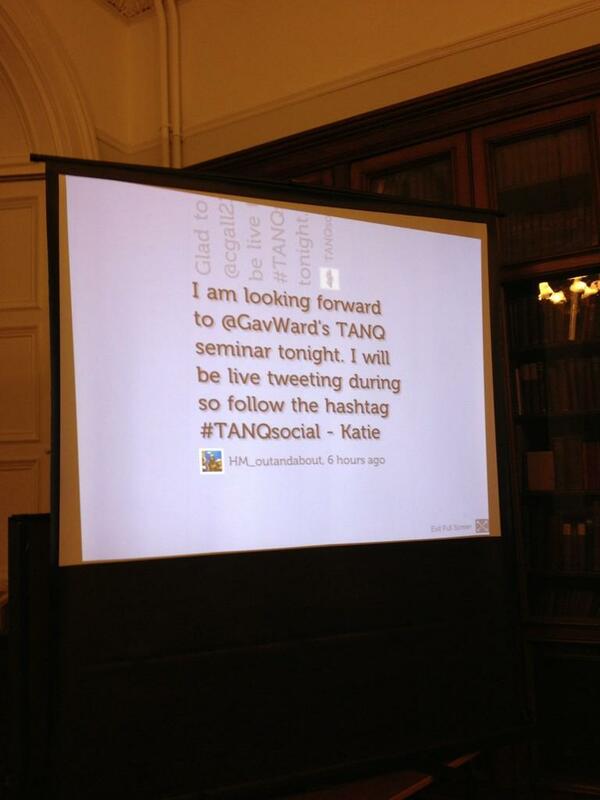 This was done via visibletweets.com and I’d recommend you give it a shot for your next presentation. Thanks to cold case blogger and lawyer Vidster I’ve assembled the hashtag tweets into the table at the foot of this page. If you’d like to get in touch to discuss the ideas contained in the presentation further (the slides are just a mere skeleton) please don’t hesitate to contact me here or get in touch with our team at Moore Legal Technology.